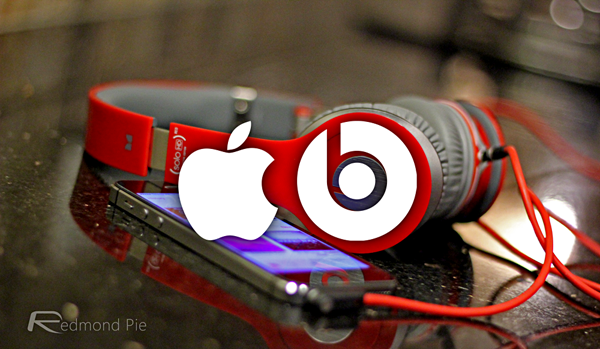 Earlier on in the month, it came to light that Apple had struck a deal with Beats Electronics to purchase the audio-focused company, in a union that would serve as the Cupertino’s costliest acquisition by some margin. Now, Apple has issued a press release offering official confirmation on the takeover, worth a cool $3 billion. This year has already seen one or two big purchases, with Facebook following up its mammoth acquisition of WhatsApp by again opening its checkbook to snap up Oculus VR. But while, by comparison to the WhatsApp deal, $3 billion seems like chickenfeed, it offers Apple a shoo-in to an audio hardware market that it currently has no tangible stake in. 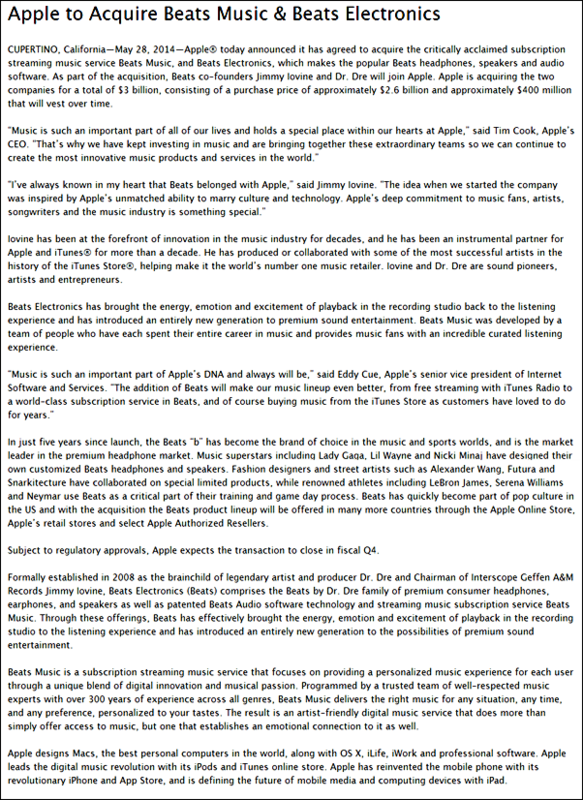 Music is such an important part of all of our lives and holds a special place within our hearts at Apple. That’s why we have kept investing in music and are bringing together these extraordinary teams so we can continue to create the most innovative music products and services in the world. 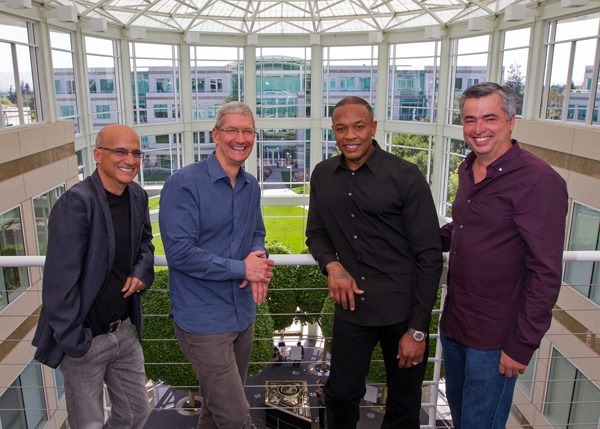 Beats Electronics, co-founded by rapper, producer and hip-hop mogul Dr. Dre along with Interscope record label owner Jimmy Iovine, is comparable to Apple in so many ways that a union seems the natural next step. 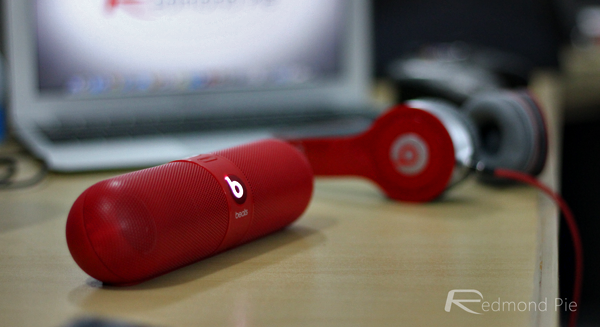 The company is known for selling premium products in the higher price bracket, and as such, both Apple and Beats have sold to a similar demographic for years now. Speaking of his own excitement at the deal, Iovine stated that Beats was "inspired by Apple’s unmatched ability to marry culture and technology," adding that “I’ve always known in my heart that Beats belonged with Apple.” With the two companies now as one, Apple’s music industry stock just went up considerably, and even though it is thought both Dre – real name Andre Young – and Iovine will be a part of Apple’s executive team, it isn’t yet known precisely what roles they will be playing. Do you think this acquisition is good for Apple?